While it has been said that wrinkles add character, they also can make you appear older than you are. During the aging process, lines and wrinkles form as a result of facial expression and movement. With the continued and repeated use of facial muscles combined with volume loss, changes to facial bones, and loss and damage to collagen and elastin within the skin, our natural facial expressions eventually form static lines which are present at rest. 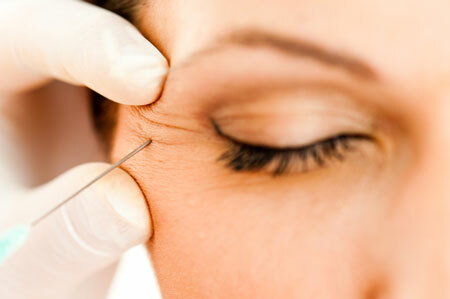 To minimise the appearance of fine lines and wrinkles, we inject the area with a wrinkle relaxer. This substance is safe and works by blocking the transmitting messages between nerve and muscle cells making the muscle cells unable to contract. Areas that are treated include frown lines, forehead lines, crow’s feet, bunny lines on the nose, dimpling of the chin, upper lip lines and corners of the mouth. Before treatment, Dr Chan will assess the condition of your skin, areas of concern and your expectations and will tailor a treatment plan for your individual needs. The procedure usually lasts 10-15 minutes and involves the injection of small volumes of fluid into the target muscles using a thin needle.